Norfolk Southern’s Conway Yard. NS photo. 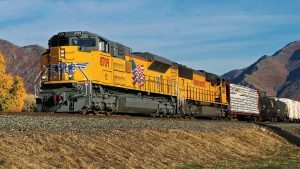 U.S. rail traffic for the week ending Oct. 6, 2018, at 554,238 carloads and intermodal units, rose slightly—1.2 %—compared with the same week in 2017, the Association of American Railroads (AAR) reported Oct. 10. 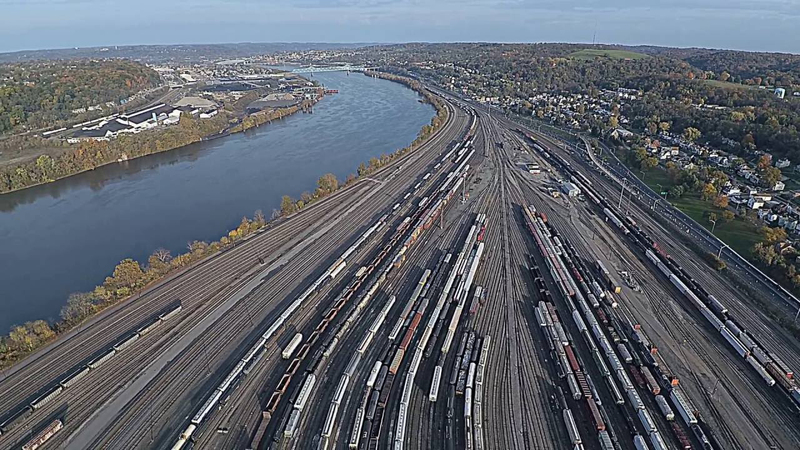 Total U.S. carloads for the week were 269,634, up 0.7% compared with the same week in 2017, while U.S. weekly intermodal volume was 284,604 containers and trailers, up 1.8%. Six of the 10 carload commodity groups posted an increase compared with the same week in 2017. 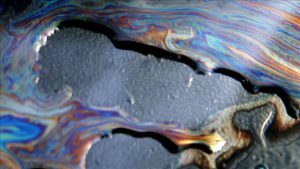 They included petroleum and petroleum products, up 2,579 carloads, to 12,545; coal, up 1,250 carloads, to 88,939; and metallic ores and metals, up 880 carloads, to 22,121. 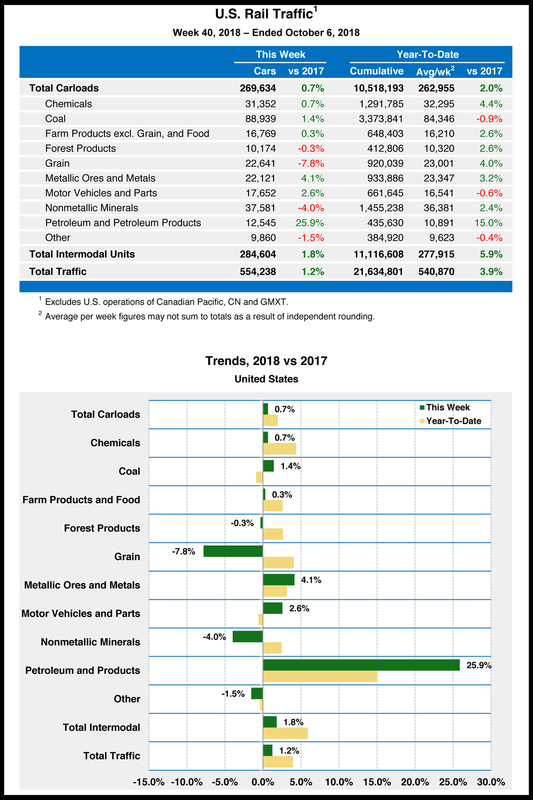 Commodity groups that posted decreases included grain, down 1,918 carloads, to 22,641; nonmetallic minerals, down 1,557 carloads, to 37,581; and miscellaneous carloads, down 154 carloads, to 9,860. For the first 40 weeks of 2018, U.S. railroads reported cumulative volume of 10,518,193 carloads, up 2% from the same point last year; and 11,116,608 intermodal units, up 5.9% from last year. Total combined U.S. traffic for the first 40 weeks of 2018 was 21,634,801 carloads and intermodal units, an increase of 3.9% compared to last year. North American rail volume for the week on 12 reporting U.S., Canadian and Mexican railroads totaled 375,239 carloads, up 1.2% compared with the same week last year, and 375,166 intermodal units, up 0.8%. 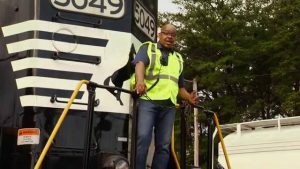 Total combined weekly rail traffic in North America was 750,405 carloads and intermodal units, up 1%. 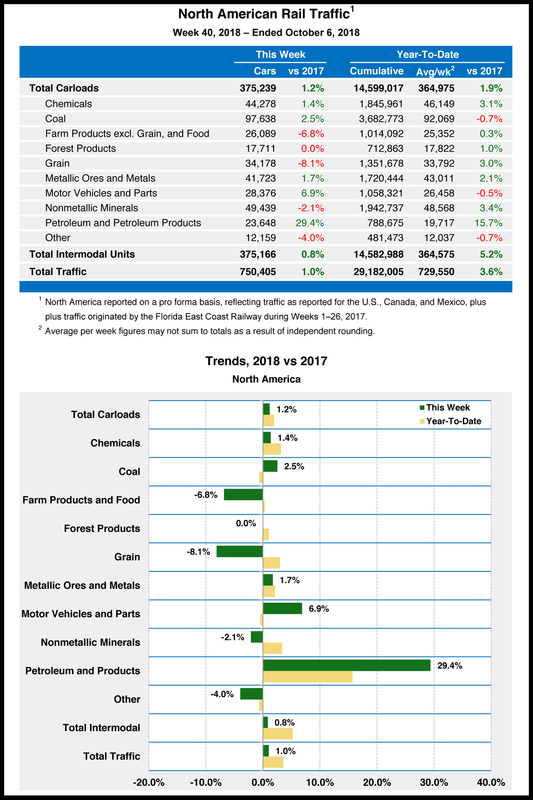 North American rail volume for the first 40 weeks of 2018 was 29,182,005 carloads and intermodal units, up 3.6% compared with 2017. 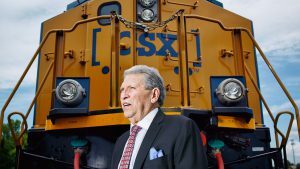 Canadian railroads reported 85,997 carloads for the week, up 4%, and 70,135 intermodal units, down 2.3% compared with the same week in 2017. 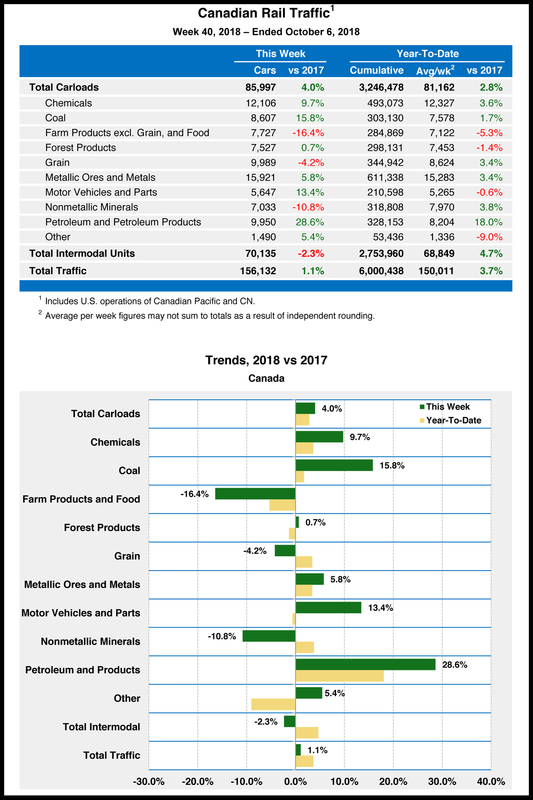 For the first 40 weeks of 2018, Canadian railroads reported cumulative rail traffic volume of 6,000,438 carloads, containers and trailers, up 3.7%. 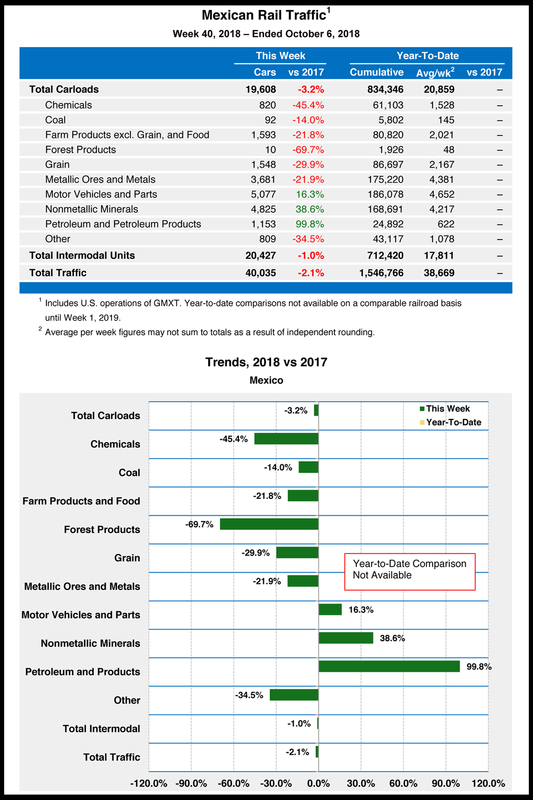 Mexican railroads reported 19,608 carloads for the week, down 3.2% compared with the same week last year, and 20,427 intermodal units, down 1%. Cumulative volume on Mexican railroads for the first 40 weeks of 2018 was 1,546,766 carloads and intermodal containers and trailers.